Modernizing a Historical Masterpiece - GDC Construction, Inc.
GDC Construction has been working with the owners of this residence for more than 20 years, both to preserve an historic home and to expand and modernize the residence. 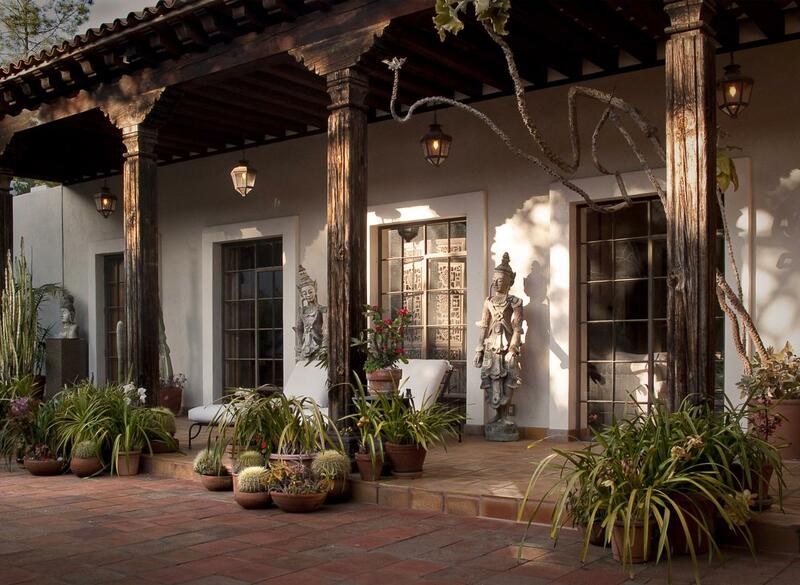 The home was originally built by La Jolla historian Harry Crosby, who imported all the materials from Michoacan, Mexico, and was designed to reflect the style of a Mexican hacienda. However, the original structure was built with insufficient foundations to support it, so GDC was originally brought in to completely modernize and rebuild the foundations. 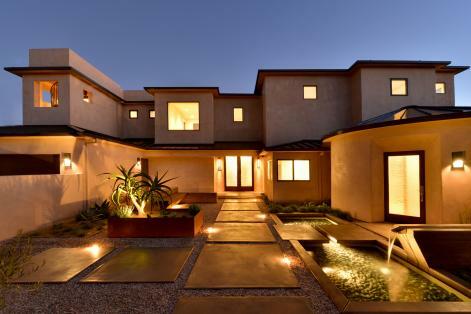 The family was so impressed by our work that they invited us to build a new spa and other additions to the existing residence. GDC has made this home all-but indestructible, by reinforcing and modernizing the existing foundations to the highest degree. 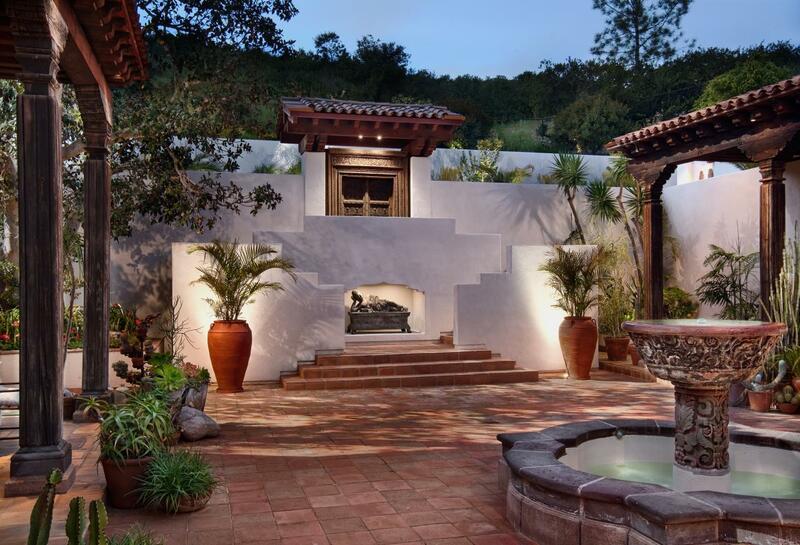 We also worked with the client to use reclaimed materials in all the new construction, combining Asian and Latin American influences to create a truly breathtaking home. GDC also completely modernized the residence’s interior, adding state-of-the-art HVAC, lighting and security systems. 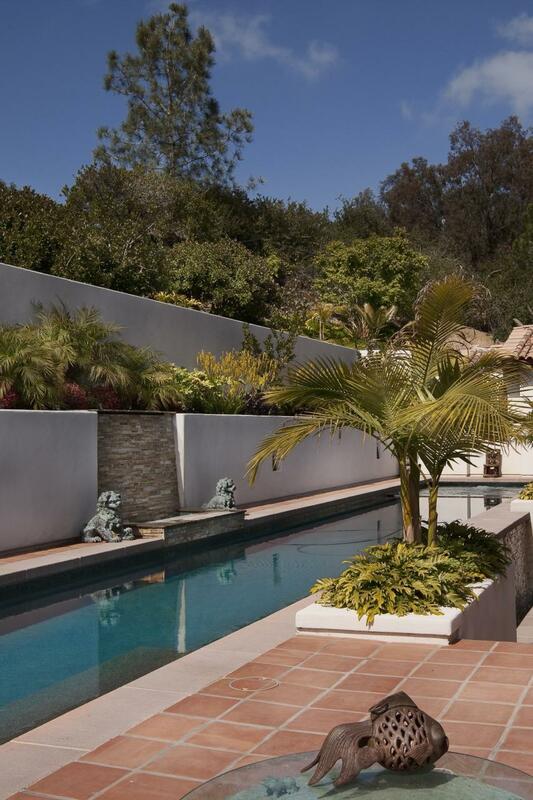 The construction of this project demanded a sculptor's eye and artisan craftsmanship. 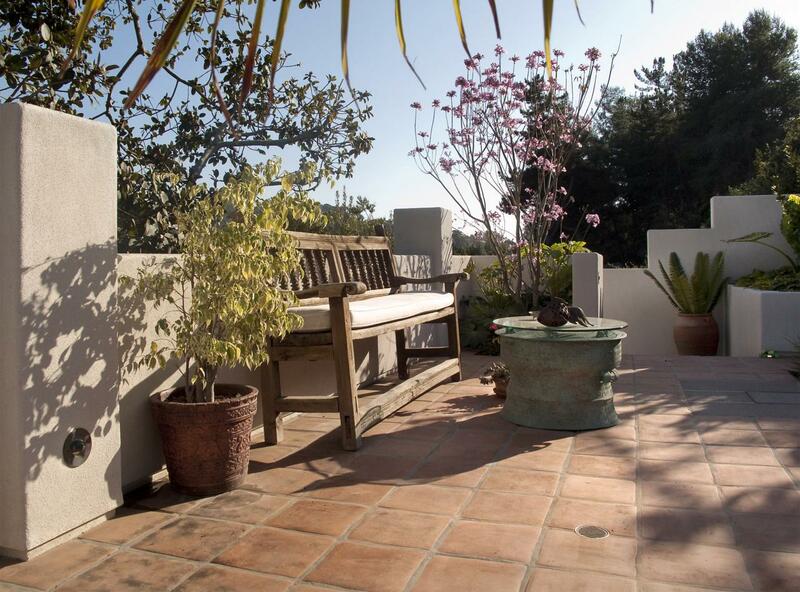 The GDC Construction team helped transform this tight coastal hillside into a tranquil sanctuary for the owner with ease. Their attention to detail was unparalleled. 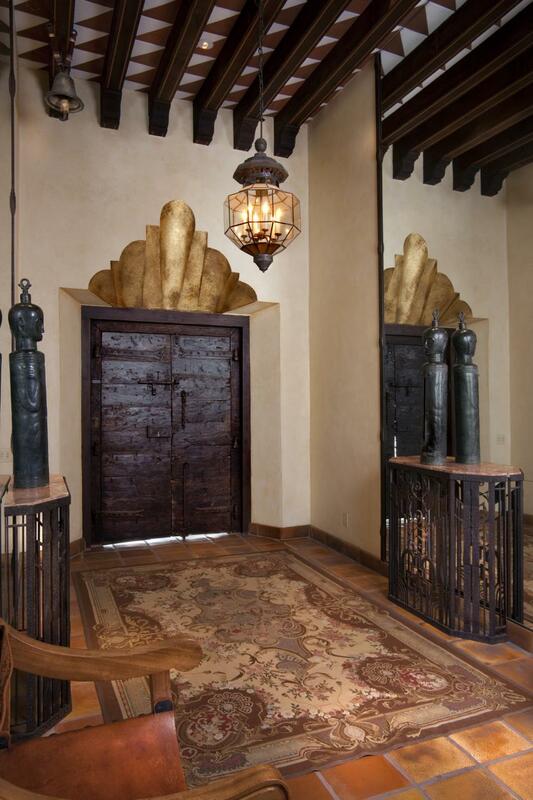 One of several reclaimed doors in the residence is framed by Cantera stone. 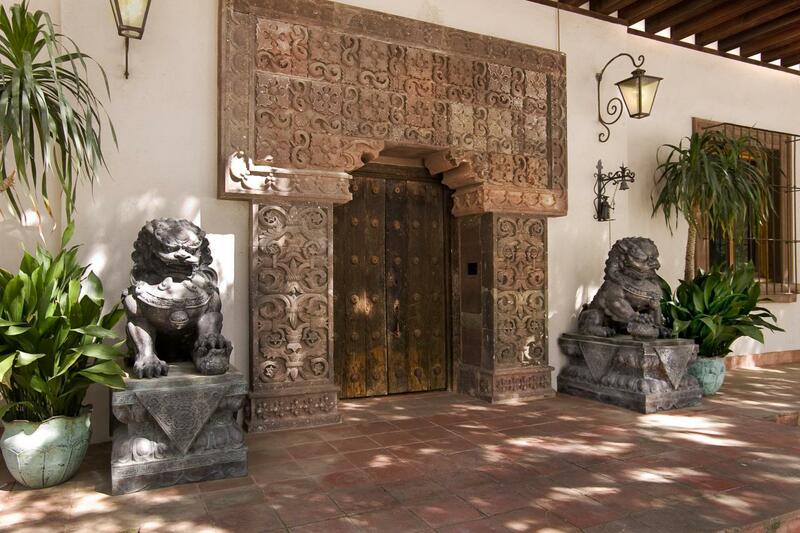 The home’s main entrance has a gold-leaf relief and custom Spanish-tile roof. 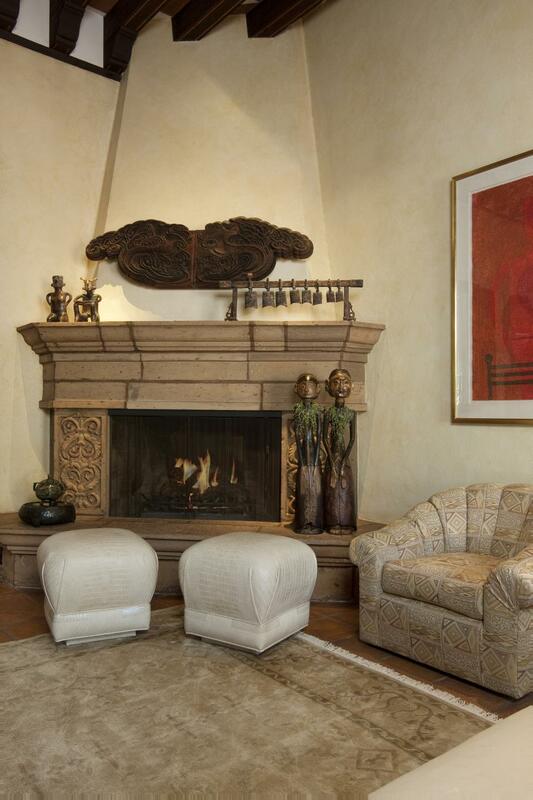 The main fireplace is of Cantera stone, a volcanic rock from central Mexico. 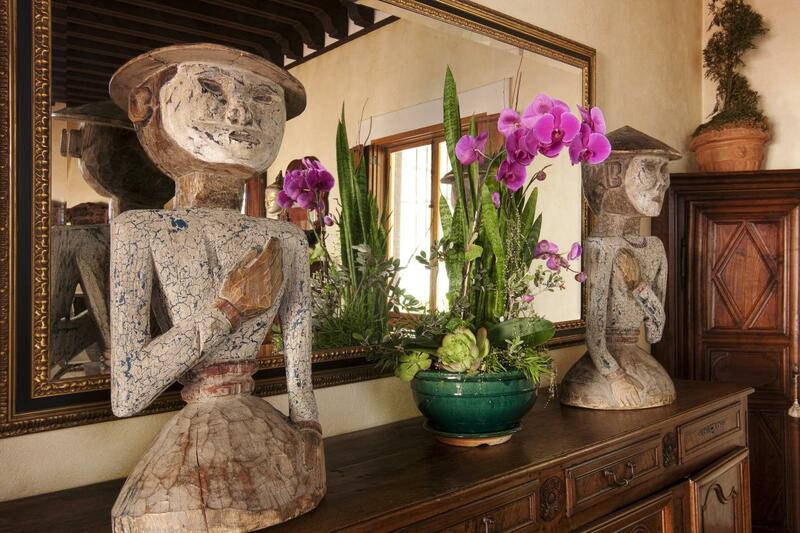 The warm main family room houses an eclectic collection of art from around the globe. Every inch of the residence has been carefully thought out, with custom woodwork designed to complement the historic architecture. 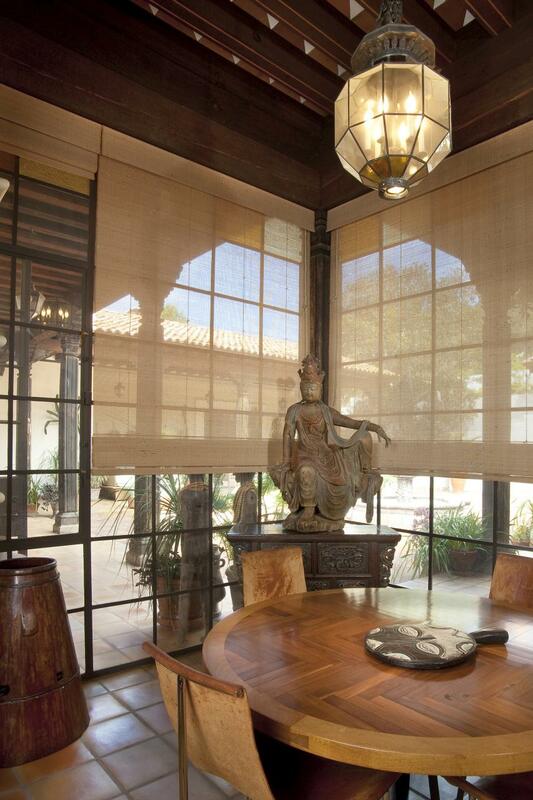 An elegant breakfast nook overlooks the home’s shaded courtyard. 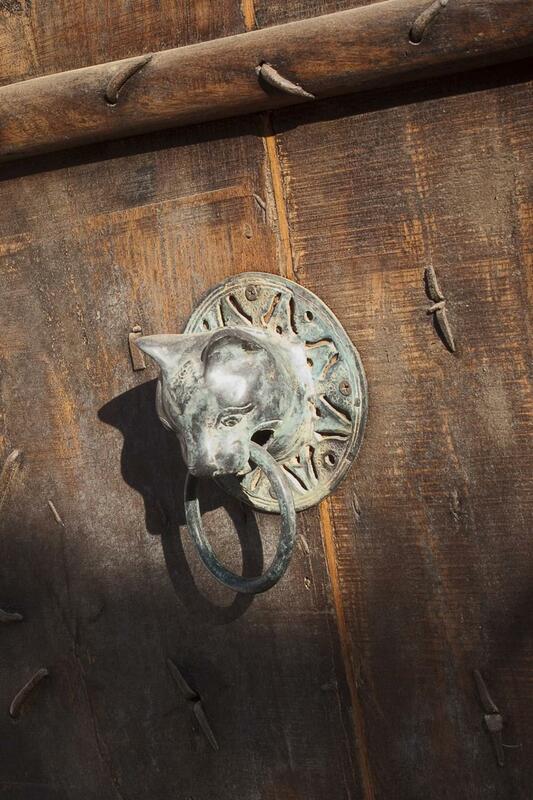 One of the home’s imported doors, which was shipped from India. 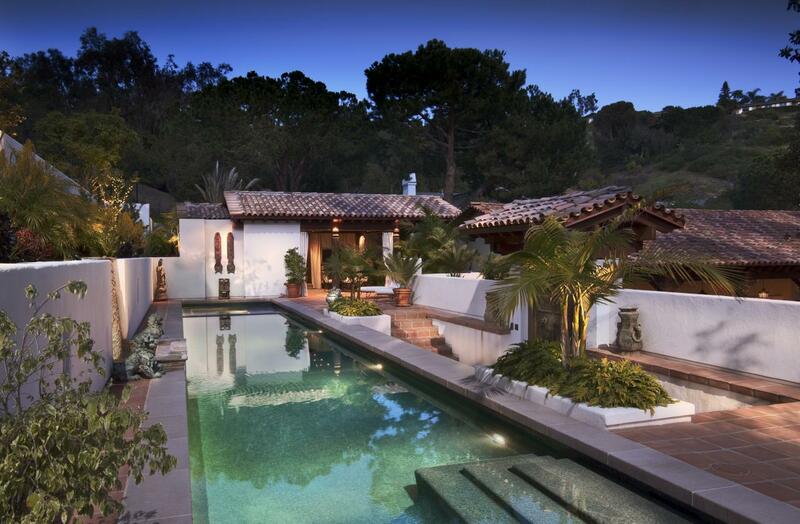 The elegance of the architecture is mirrored by the owner’s extensive art collection. 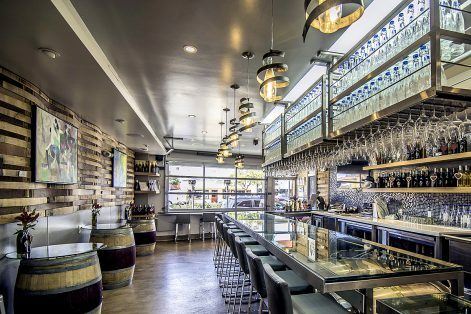 Vintage light fixtures and reclaimed materials add to the ambience. GDC completely repaired the home’s roofline, replacing the tiles and adding a copper drip-edge. Several of the wooden beams had to be replaced with reclaimed replicas, which GDC’s craftsmen integrated seamlessly with the originals. 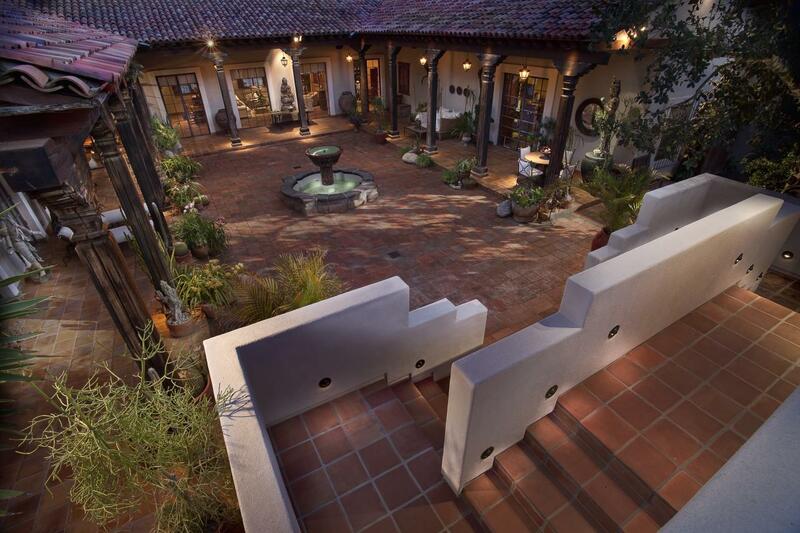 A view of the home’s main courtyard. An example of the structural engineering work GDC did at the property is the upright wooden beams, which were split in half, reinforced with structural steel, and joined back together again. 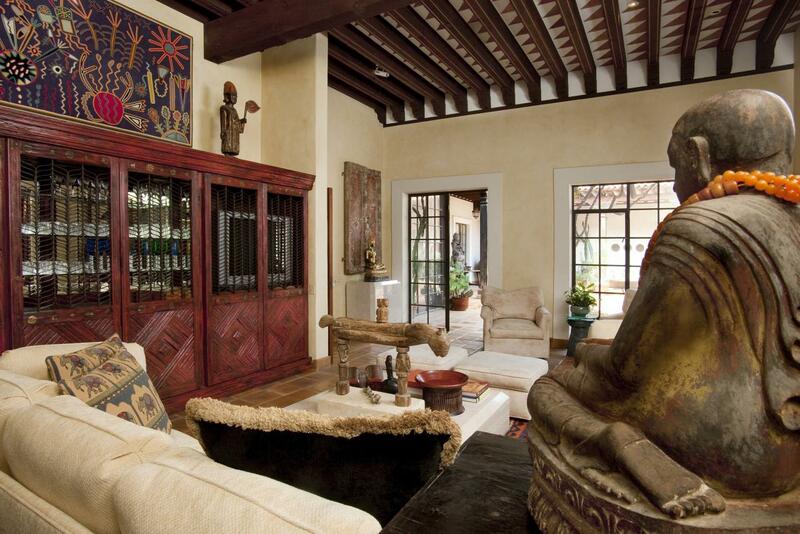 The home features several quiet nooks, which the owner has filled with art and furniture collected from around the world. 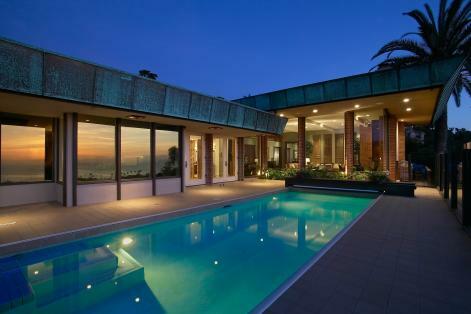 The home’s added spa was designed to reflect a Southeast-Asian design aesthetic. 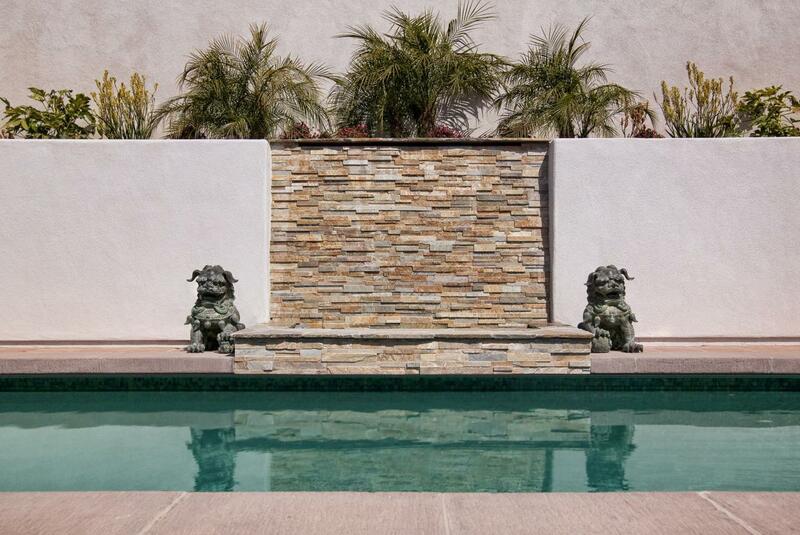 The pool features a stone waterfall and pebble-sheen finish tiles. 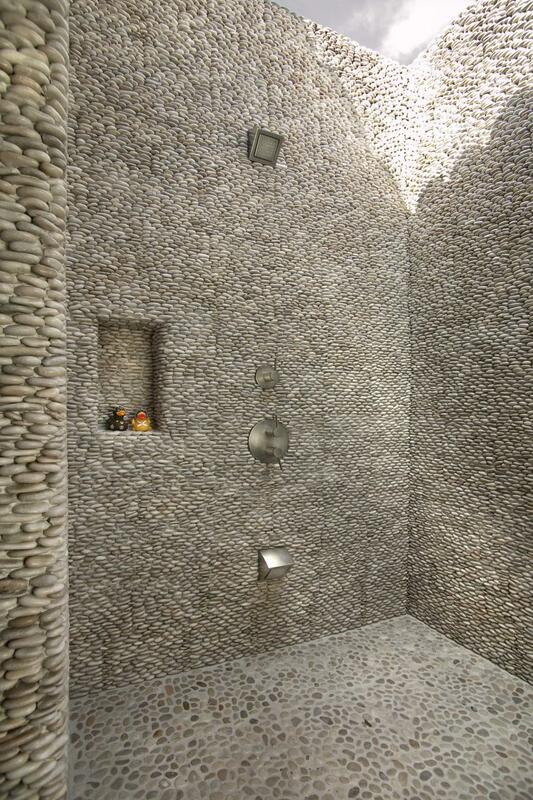 The outdoor pool shower is open to the sky and made from thousands of interlocked pebbles.